For my brother’s Christmas gift this past December I crocheted him a warm winter hat (or toque, as we like to call them here in Canada). 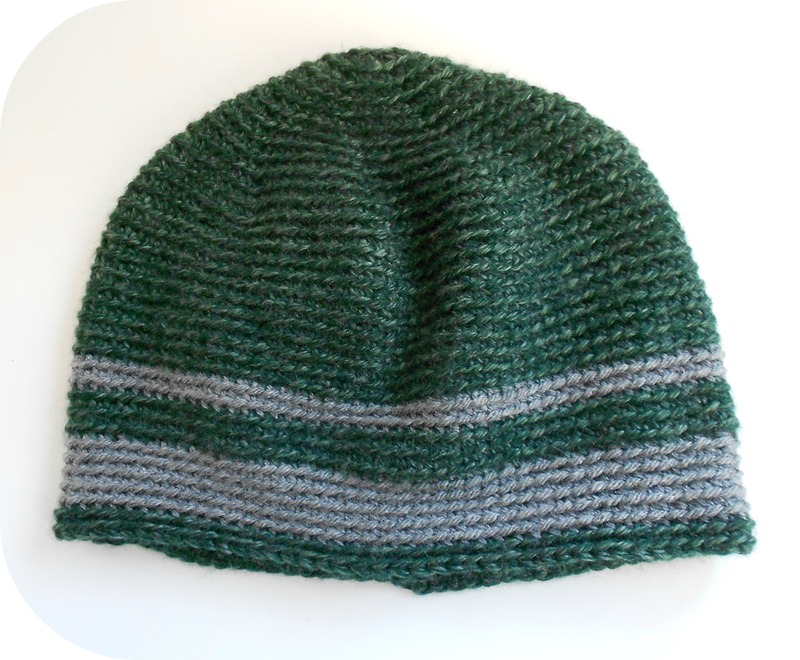 The pattern I used was Carmel by DROPS design, a quick and easy free pattern. I made it in size L (because my brother has a big head) and used Lion Brand Heartland in Kings Canyon for the main colour and Patons Canadiana in Med. grey mix for the stripes. I loved that for this pattern it was crocheted into the back loops only, a technique I like to use for large amigurumi, but don’t often use for garments or accessories. It made the the hat nice and thin and stretchy. 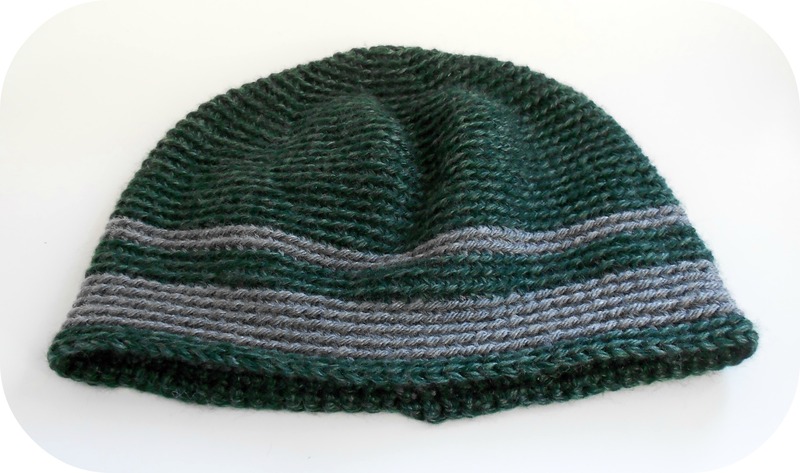 The ridges made by the unworked front loops on the surface of the hat also gave the hat a nice texture. Despite the hat being thin, it was surprisingly warm! I also like how well it covers your ears. And of course, it passed my softness test and was nice to the touch 🙂 I really love the Lion Brand Heartland yarn and plan to use it a lot more in the future (in fact I just started a sweater with it today, but more on that another time). 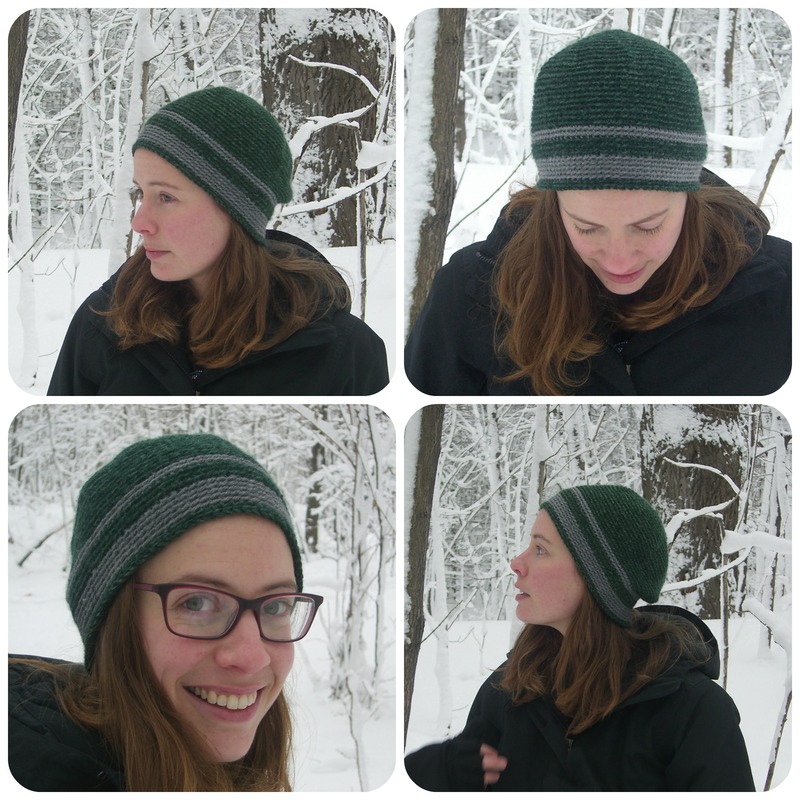 The hat is designed to be droopy in the back (it is on me in the photos above), but it can be pulled down fully to fit more snug all around, especially if you have my brother’s big head! I love that hat, Megan! wish I could knit something like that,,, When a pattern has both possibiliites, the crochet item is always prettier. Thank you Hélène! 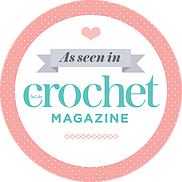 I will teach you crochet next time I visit. We never got around to it last time!